Signature Dish – Denotes Parthenon classic dish. A signature dish can be categorized as a Parthenon original recipe or a customer favorite. A lightly battered slice of kefalograviera cheese pan fried and set on fire right before your eyes. OPA! Served with pita bread. A delicious assortment of cubes of feta, olives, cucumbers, tomatoes, and red onions topped with our homemade Greek dressing and served with pita bread. Our very own homemade garbanzo bean dip. Served with pita bread. Our homemade blend of seasoned spinach and feta cheese hand wrapped in flaky phyllo dough and perfectly baked. 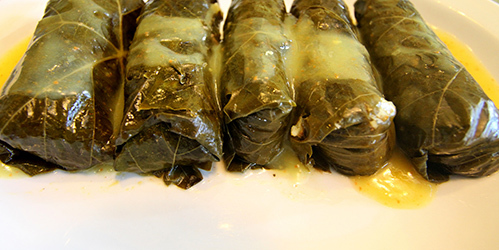 Two grape leaves stuffed with our homemade blend of rice and seasoned ground beef. 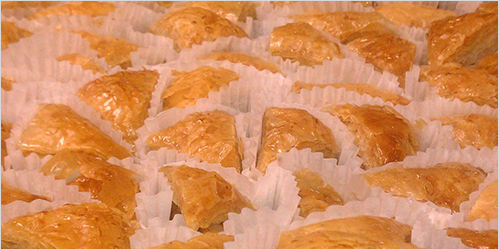 Our homemade blend of cheeses hand wrapped in flaky phyllo dough and perfectly baked. Fresh romaine and iceberg lettuce with sliced tomato, cucumber, kalamata olives, onion, pepperoccini, and topped with crumbled feta. Served with our homemade Greek dressing. Fresh romaine and iceberg lettuce topped with grilled chicken, mozzarella, tomato, onion, and egg. Served with your choice of dressing. Fresh romaine and iceberg lettuce with sliced tomato, onion, and mozzarella. Sliced cucumber and tomato, kalamata olives, onion, pepperoccini, and feta topped with our famous homemade Greek dressing. Mixed greens, cranberries, crumbled feta, chopped walnuts, onion, tomato, and grilled chicken. Topped with our special balsamic dressing. Fresh romaine and iceberg lettuce topped with parmesan, croutons, and caesar dressing. Our very own homemade gyros topped with parsleyed onion, tomato, and our very own cucumber yogurt sauce (tsatsiki). Freshly cooked pork medallions seasoned with our homemade marinade topped with onion, tomato, cucumber, and our very own cucumber yogurt sauce. Freshly grilled chicken breast seasoned with our homemade marinade topped with onion, tomato, cucumber, and our very own cucumber yogurt sauce. Grilled chicken, crisp bacon, lettuce, tomato, and mozzarella. Topped with ranch dressing. Freshly cooked homemade vegetarian falafel patties wrapped with tomato, cucumber, lettuce, onion, and cucumber yogurt sauce. Chicken tenders topped with fire sauce, mozzarella, lettuce, and tomato. Bleu cheese or ranch is available upon request. Our burgers are made with over 1/3 lb. 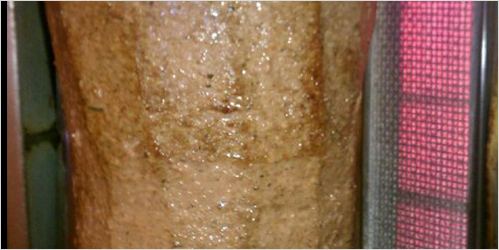 of fresh ground beef, cooked to order, and served wrapped in a pita. All PitaBurgers available on a bun at no additional cost. 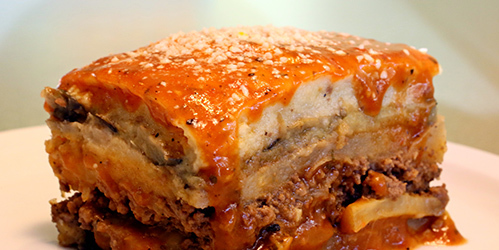 A burger the Greek way. A special patty seasoned with fresh parsley and chopped onion topped with mozzarella cheese, mayonnaise, shredded cabbage, tomato, and cucumber. Topped with American cheese, lettuce, tomato, and onion. Topped with cheddar, crisp bacon strips, lettuce, tomato, and onion. 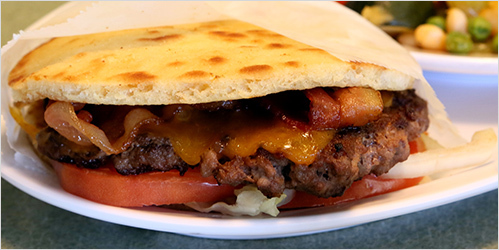 Topped with cheddar, crisp bacon strips, barbeque sauce, lettuce, tomato, and onion. Topped with fire sauce, bleu cheese crumbles, onion, lettuce, and tomato. Topped with crumbled feta, hummus, olives, lettuce, tomato, and onion. 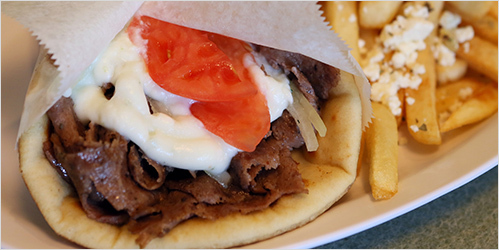 A generous serving of our homemade gyros served with a side of rice pilaf. Cubes of chicken breast seasoned with our homemade marinade skewered and charbroiled. Served with spinach rice and oven browned potatoes. Cubes of pork medallions seasoned with our homemade marinade skewered and charbroiled. Served with spinach rice and oven browned potatoes. Pastitsio, mousaka, rice pilaf, gyros, one stuffed grape leaf, and your choice of cheese pie or spinach pie. Served alone or with rice pilaf and oven browned potatoes. Seasoned ground beef and rice wrapped in grape leaves. Five per order. Baked macaroni with seasoned ground beef topped with bechamel cream, our own tomato sauce, and parmesan cheese. Fresh cooked chicken fingers served with french fries. Baked layers of eggplants, potatoes, seasoned ground beef, topped with bechamel cream, our own tomato sauce, and parmesan cheese. 2 slices of cheddar cheese melted to perfection between a warm grilled pita. 2 delicious chicken fingers kids will love. Comes with a small side of your choice. Our classic gyro just miniaturized. Comes with a small side of your choice. Choose from the soups of the day. Ask for one of our many dessert specials offered time to time.